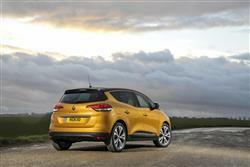 Renault's fourth generation Scenic range marries sleek sophisticated looks and clever technology in a surprisingly desirable family 5-seat MPV. This car's range of more efficient engines now includes a frugal new 1.3-litre Tce 140 unit and an uprated 1.5-litre Blue dCi 120 diesel and all the powerplants stack up well on the balance sheet. Plus this People Carrier remains nicely built, safe and very well equipped. 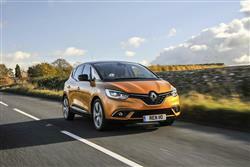 All very good reasons to keep it well in contention against key rivals in the five-seat compact MPV segment. The Scenic has been one of Renault's biggest contemporary success stories, selling over 4.5 million units since its launch in 1996. It's been especially popular here in the UK, filling the number one spot in the MPV sales charts for many of those years, but in more recent times has been overtaken by the likes of the Ford C-MAX in the affections of British buyers. Hence the need for this completely redesigned fourth generation model. 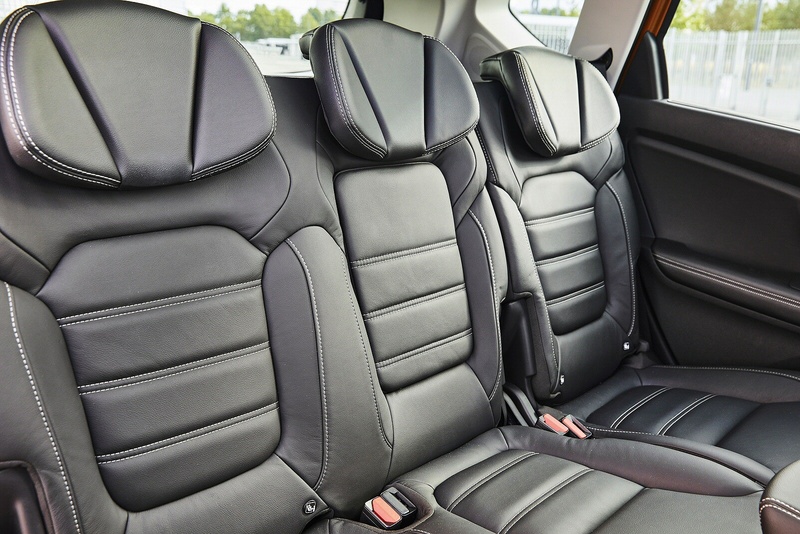 Here, the design is far more stylish and driver-centric than before, plus there's more space and storage inside along with more sophisticated infotainment technology. Improved petrol and diesel engines will tempt those in search of ultimate efficiency too. Sounds promising doesn't it? You wouldn't normally approach a drive in an MPV with much enthusiasm, but with its big 20-inch wheels and purposeful demeanour, this fourth generation Scenic promises to be a bit different. In reality, there's nothing particularly enjoyable on offer here, but bodyroll through the bends is pretty well controlled, aided by the stiff, sophisticated 'CMF' platform this Scenic rides upon. And the electrically-assisted steering is precise and direct, even if it doesn't offer up a great deal of feel. As for the ride, well yes, it is quite firm, but no more so than it would be in a rival Ford C-MAX or Volkswagen Golf SV that would roll on much smaller rims. 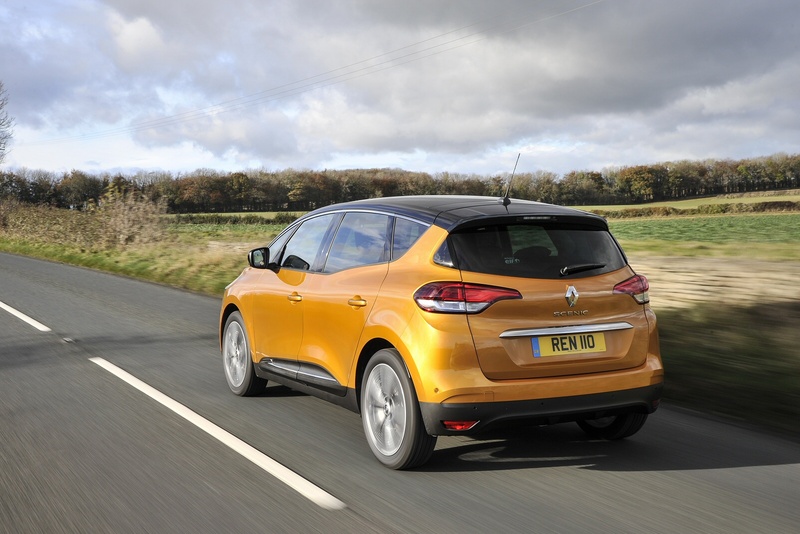 That's an impressive achievement Renault says has been made possible by the adoption of special 107mm high profile tyre sidewalls that are exactly the same as those you'd find used on 17-inch wheels. The bulk of sales will to the recently improved 1.5-litre dCi diesel engine, which now puts out 120hp. 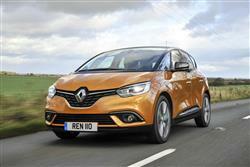 Don't dismiss the alternative petrol engine option though if you're a lower-mileage buyer. 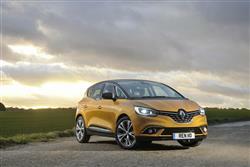 It's a 1.3-litre TCe turbo unit that develops 140PS and is well worth a look. There's some trendy technology to cheer you along the way too, in the form of a selectable drive mode system called 'Multi-Sense', one of those able to alter steering feel, throttle response, stability control settings and, where fitted, auto gearchange timings, all to suit the way you want to drive. Heck it even changes the engine note and alters the colour of the dashboard lighting in an effort to put you in either a more relaxed frame of mind or perhaps a sportier mood. 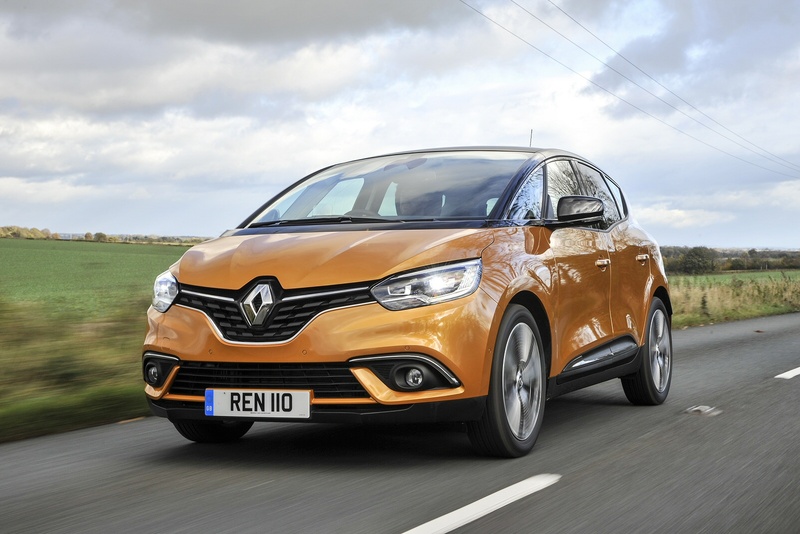 The styling is based on Renault's R-Space concept car, key features like the steeply-raked windscreen and short bonnet heightening the elegance of its MPV silhouette. Uniquely, big 20-inch wheels are fitted to all versions. At the same time, the three-part screen combines a panoramic view with improved side vision. At the front, there's a distinctive lighting signature. Depending on version, the C-shaped front headlights benefit from LED PURE VISION technology, while Edge Light technology provides the taillights with a 3D effect. As before, the mainstream Scenic range comes in two sizes: this standard Scenic with five seats. 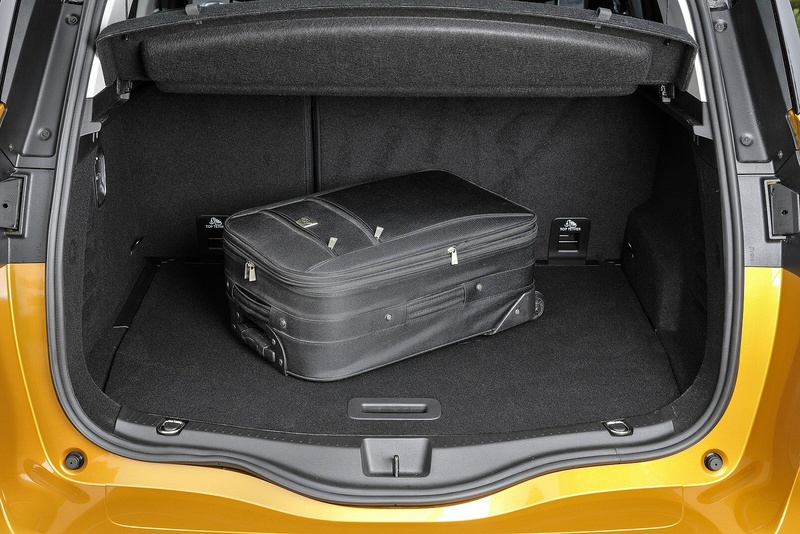 And a Grand Scenic body style with seven seats: it's the standard version we look at here, a car that claims best-in-class stowage capacity. 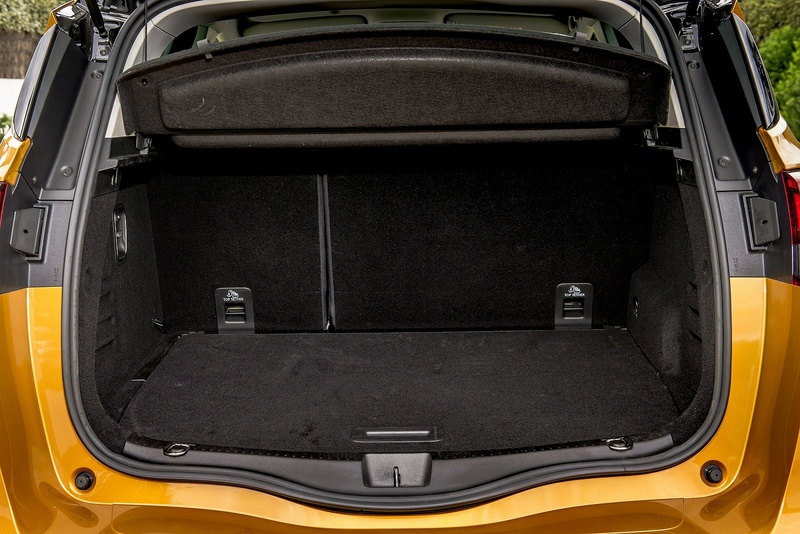 The boot of this fourth generation model boasts a volume of 572-litres and around the car, there's total additional stowage capacity of 63 litres. 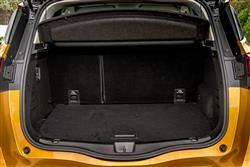 Take the 'Easy Life drawer', which faces the front passenger seat and offers a storage area of 11.5-litres. That's three litres more than a conventional glove box. Lit and chilled, it opens via an electronic sensor and automatically locks when the vehicle stops. Plus, as before, there are four underfloor compartments. In the back, this Scenic is equipped with folding tables that open to reveal a small storage area that can accommodate a mobile phone, a gaming console or perhaps crayons, whilst it is also possible to attach electronic tablets of different sizes. 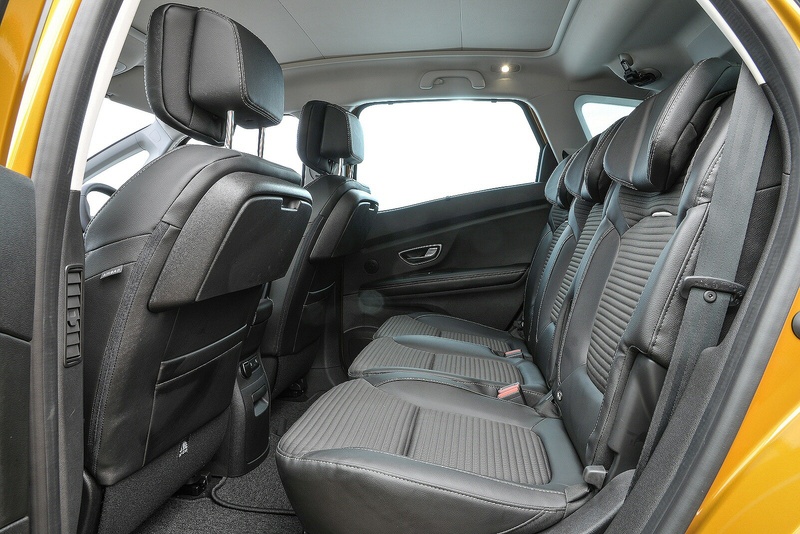 The two USB ports at the rear of the centre console mean electronic devices can be used without time restraints. Prices sit in the £21,500 to £26,000 bracket, with the usual premium of £1,800 if you want the longer Grand Scenic seven-seat bodystyle. There's the choice of three trim levels - 'Play', 'Iconic' and 'Signature'. A key included safety feature is the AEBS 'Active Emergency Braking System' which also has a Pedestrian Protection feature. Lane Keeping Assist and a Fatigue Detection system are additionally being offered. Along with Adaptive Cruise Control, Lane Departure Warning, a Safe Distance Warning system, 'Traffic Sign Recognition with Over Speed Prevention' and Blind Spot Warning. Buyers can also specify a reversing camera, automatic dipped and main beam headlights, front, rear and side parking sensors and Easy Park Assist hands-free parking. 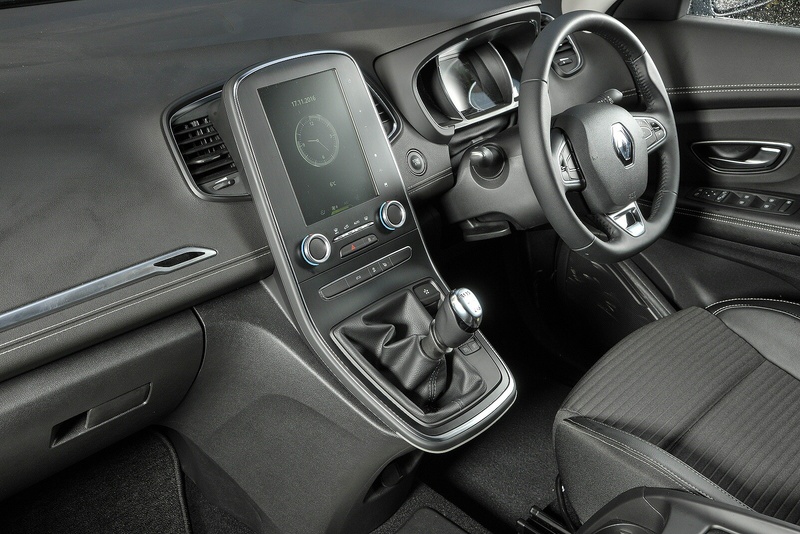 Higher-end versions are equipped with Renault's advanced 'R-LINK 2' infotainment system, complete with an 8.7-inch screen. Here, you get voice recognition for the navigation system, telephone use, apps and radio. There's also the option of a full-colour head-up display system that projects key driving information onto the bottom of the windscreen. And Renault also hopes it can tempt buyers into paying more for a desirable 11-speaker BOSE Surround Sound audio system. The Scenic may no longer have the lowest running costs in its class but they're still impressively low for a car of this size. The efficiency champion will be the 1.5-litre Blue dCi 120hp diesel model which should return 57.7mpg on the combined cycle and 129g/km of CO2. As for petrol power, well the 1.3 TCe engine manages 47.1mpg and 137g/km. As you would expect, all Scenic models are aided in achieving their figures by a Stop & Start system that cuts the engine when you don't need it, stuck in traffic or waiting at the lights. All well and good, but if we were potentially buying this model, one of our concerns might be that the big 20-inch wheels would eventually require big, pricey replacement tyres to go with them. 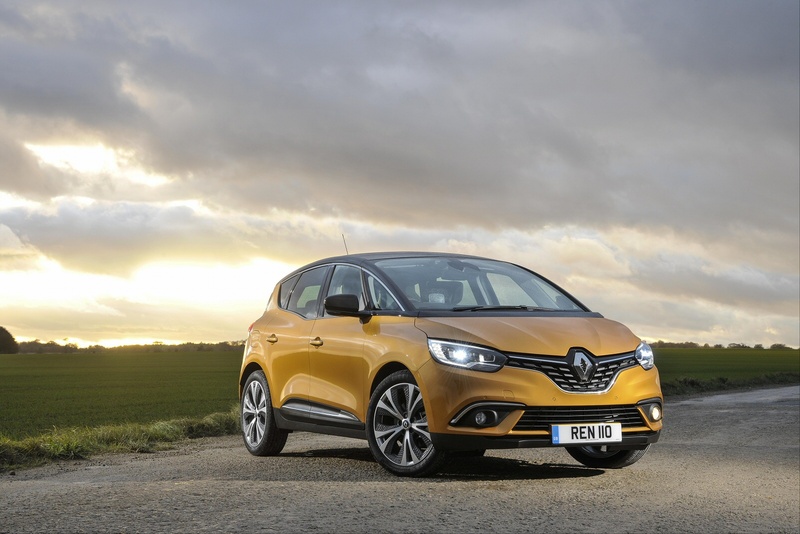 Renault says that won't be the case, the brand having been working with major tyre manufacturers to ensure that replacement rubber for this model won't cost any more than it would if the car was running on more usual 17-inch rims. Another aspect of purchase that should please you lies in the fact that you won't be fobbed off with the basic three year / 60,000 mile warranty that most rivals offer. All Scenic models come with a much more complete four-year / 100,000-mile warranty that includes emergency breakdown recovery. There's also three years' worth of European cover as part of this package. 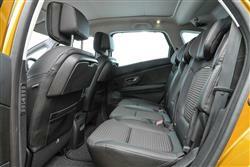 If you�re looking for a new Renault Scenic 1.3 TCE 140 Play 5dr Auto Petrol Estate for sale, you�ve come to the right place. 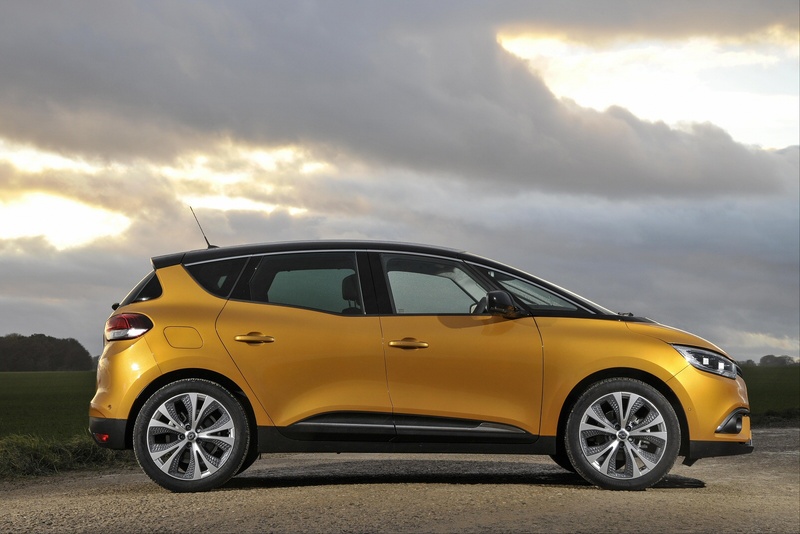 At Bristol Street Motors we don�t just have the best Renault Scenic 1.3 TCE 140 Play 5dr Auto Petrol Estate deals, we also offer friendly advice and help with all your enquiries to ensure your buying experience is a happy experience.